The best loved wine communicator of our time, Oz Clarke is the guest you want at your table, the person to select the wine, and the ideal drinking companion. He explains how, why & where he fell in love with wine; he explains the essentials of how wine is grown and made today; then takes you into the world's wine regions and introduces you to the wines he loves. Oz reveals how he tastes wine and how you can enjoy wine whatever the budget. He covers with equal care & attention all categories of wine, from the blue-chip to the most affordable. 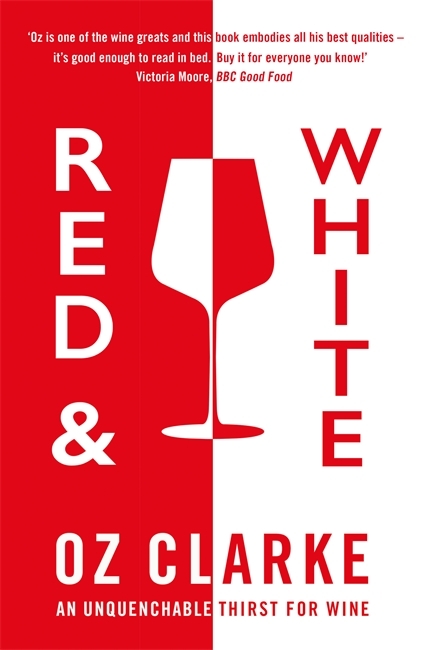 With Red & White, you are in the hands of the best-informed and the most inspirational guide, and you will pick up, without even trying, a wealth of knowledge that Oz is bursting to share with you. With climate change and the move to organic & sustainable practices, wine is evolving faster than ever before. And hundreds of local grape varieties, until recently facing extinction, are also being rediscovered. There have never been so many brilliant & original wines. To discover them, all you need is a glass in your hand, a sense of adventure, and Oz's Red & White as your companion & inspiration!